Cristina is running for the Board of Trustees because she believes in what The Cooper Union meant to Peter Cooper and to all who are part of its legacy. Her goal is to contribute to help ensure that its true mission returns and continues into the future. Cristina is a Cooper Union -AR’81 graduate, an architect, preservationist, published author, entrepreneur and an elected municipal official. 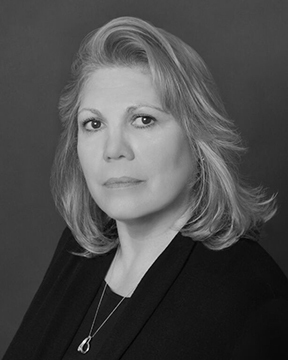 Her professional architecture career includes working in the fields of corporate architecture, healthcare, education, residential and preservation. A range of work with a trajectory that started with working for architectural firms while developing strong design and construction experience; which lead to a career in corporate management of construction and design for J.P. Morgan. 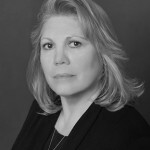 She is a founding partner at Corporate Facilities Consultants. Cristina’s work in preservation was the inspiration behind Midcentury Houses Today, published in 2014 by Monacelli Press. Cristina’s corporate and fundraising experience spans over 25 years. She has served on various Non Profit Boards & Commissions helping to move forward the mission and vision of these institutions via prudent governance and strategic fundraising. Cristina is married to Martin Ross, M.D., a Cooper Union –EE’79, who by profession is an Orthopaedic Surgeon and together they are the parents of three girls.